A summary of revisionist accounts of the contextual meaning of`“professional” and “amateur,” as applied to the mid-Victorian X Club, is followed by an analysis of the liberal goals and inner tensions of this coalition of gentlemen specialists and government teachers. 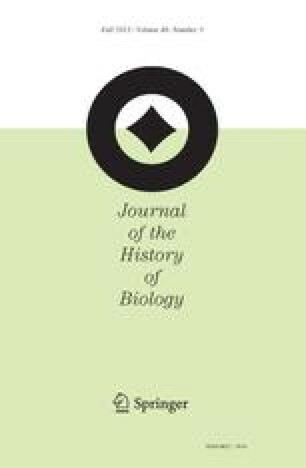 The changing status of amateurs is appraised, as are the new sites for the emerging laboratory discipline of “biology.” Various historiographical strategies for recovering the women’s role are considered. The relationship of science journalism to professionalization, and the constructive engagement of X Club publicists with their empowering audiences, are discussed. Finally, the article assesses how far the content and boundary closure of ``biology,'' forged by Thomas Henry Huxley, were related to `professional' and political goals. Purebiology’s social and medical roots are examined, and the way inter-professional and wider Darwinian conflicts resulted in anew lexicon of words for the X Clubbers around 1870, including“evolution” and “agnosticism,” as well as “biology.” Biology’srole in the forging of British national identity is discussed, as are its relationship to the social strategies of liberal, Dissenting, and industrial groups in the country, whose authority sustained the new laboratory rhetoric. 1.Department of BiologyUniversity College LondonLondonU.K.